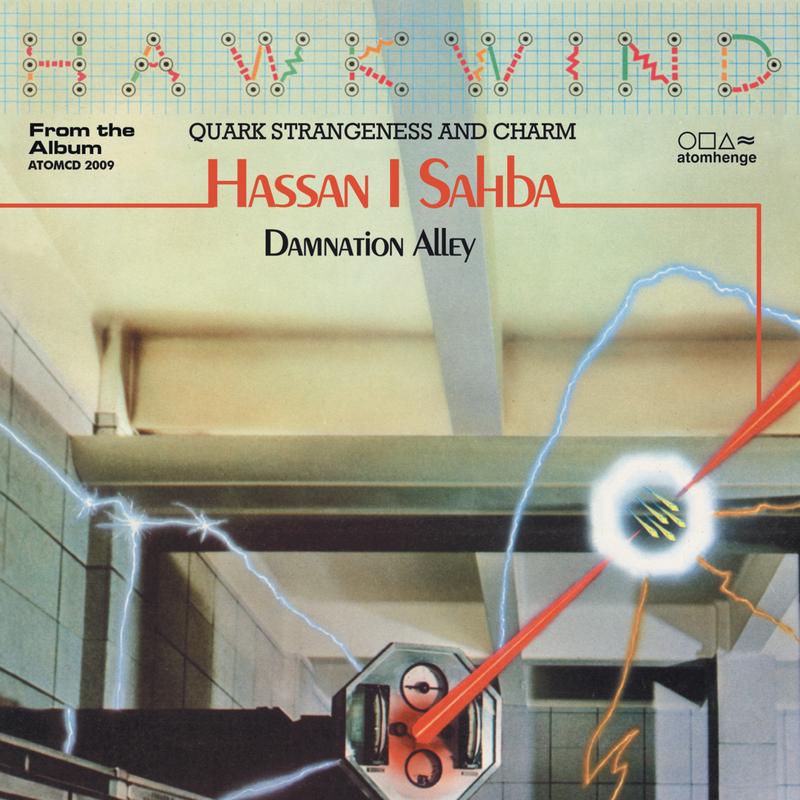 Esoteric Recordings' label Atomhenge is pleased to announce the release of a strictly limited edition re-mastered CLEAR vinyl release of the rare 1977 picture sleeve single by HAWKWIND; 'Hassan I Sahba' b/w 'Damnation Alley (Part 2)'. Originally issued by Charisma Records in Italy only in 1977, this single comprised two tracks taken from Hawkwind's "Quark, Strangeness & Charm" album. Interestingly resulting in an extremely rare edited version of the closing section of 'Damnation Alley' unreleased in any other form outside of Italy. This re-mastered release replicates the original Italian Charisma Records picture sleeve and is the first appearance of 'Damnation Alley (Part 2)' for 38 years.